Home › First Date Advice › London’s Top 10 Most Romantic Restaurants…. 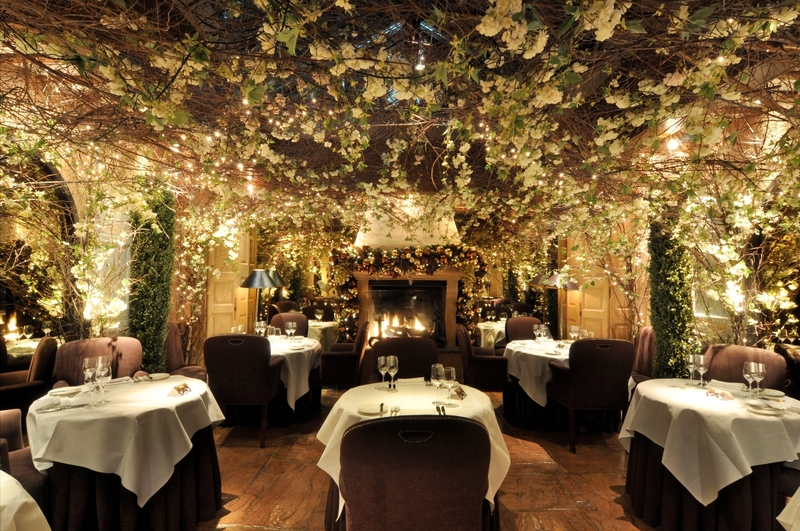 London’s Top 10 Most Romantic Restaurants…. The team at Bowes-Lyon Partnership love this top 10 list of London’s most romantic restaurants, compiled by Emyr Thomas of our favourite London concierge, Bon Vivant. So if you want to add a little more romance on a date then take a look at these fabulous London restuarants, the only trouble is which to choose! Bleeding Heart, Clerkenwell, EC1 – With a rustic look to match its location and history, the Bleeding Heart offers traditional French fare in a welcoming and intimate setting, which is great for couples, and has an award-winning wine list to match. Clos Maggiore, Covent Garden, WC2 – Often described as an oasis in the heart of Covent Garden and revered for its acclaimed wine list, Clos Maggiore, with its muted lighting and open log fire, epitomises the ethos of a romantic restaurant for some. Club Gascon, Clerkenwell, EC1 – Club Gascon is the Michelin starred jewel in Pascal Aussignac’s mini Empire including Le Cercle and a few other Gascon incarnations. Situated near Smithfield Market, Club Gascon highlights the cuisine of south west France, with a large focus on foie gras, and is great for grown-up romance. Lamberts, Balham, SW12 – Lamberts is an intimate local restaurant in Balham, offering unassuming and traditional cuisine, with a great focus on traceable and sustainable produce, in a contemporary setting. Marcus Wareing at the Berkeley, Knightsbridge, SW1 – Since striking out alone from Gordon Ramsay Holdings, Marcus Wareing’s cooking has flourished even further and his eponymous restaurant presents haute cuisine at its finest. The décor is dark and seductive and the service and food are impeccable. Odette’s, Primrose Hill, NW1 – Odette’s has been a Primrose Hill institution for decades, but is now under the reign of Bryn Williams, winner of the Great British Menu television series. The mood is dark and seductive in the downstairs restaurant and the tables that open out on to the streets of Primrose Hill are ideal for an alfresco lunch. Rhodes 24, The City, EC2 – Located on the 24th floor of Tower 42, Rhodes 24 showcases Gary Rhodes’s traditional British cuisine, which received a Michelin Star in 2005. Located in the heart of the City, Rhodes 24 has sublime views of London, and it’s worth having a drink at Vertigo 42’s champagne bar on the 42nd floor of the building before dinner. Roussillon, Pimlico, SW1 – Roussillon is well-known for its accomplished classic French cuisine using the finest British produce. The atmosphere is intimate and understated, and the lighting adds to the romance. Galvin at Windows, Mayfair, W1 – Situated on the 28th floor of the London Hilton on Park Lane, Galvin at Windows has wonderful views of London, and with its Michelin star is one of London’s leading destination restaurants. The combination of great views and food make for a thoroughly romantic evening. If however, you haven’t yet met that special someone to whisk off for a romantic dinner, don’t leave it to chance to meet your ideal partner, instead contact the team at Bowes-Lyon Partnership or book your complimentary consultation to find out more about meeting your perfect match.